Mississippian Garden at Parkin Archeological State Park. Photo by Jodi A. Barnes. 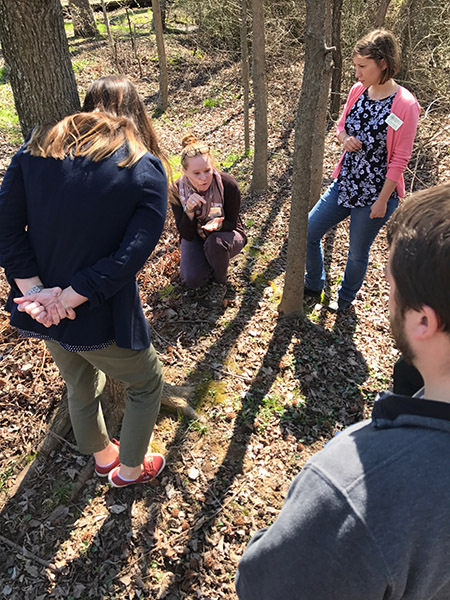 During the March 2017 workshop at the Winthrop Rockefeller Institute, educators learned about the new Gathering, Gardening, and Agriculture curriculum through hands-on activities. They studied early foraging and gardening societies and learned about the plants Arkansas Indians gathered and domesticated with guided tours of WRI's gardens. 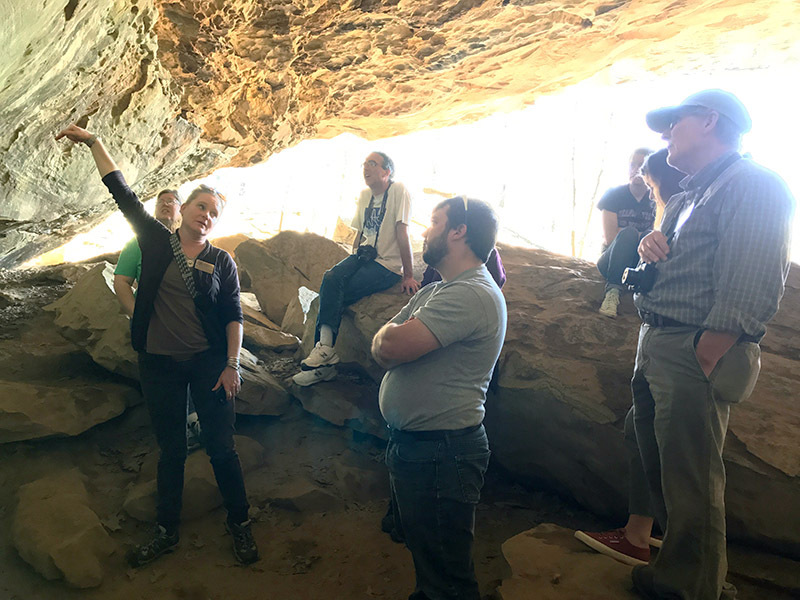 They also visited Rockhouse Cave, a site featured in the curriculum. 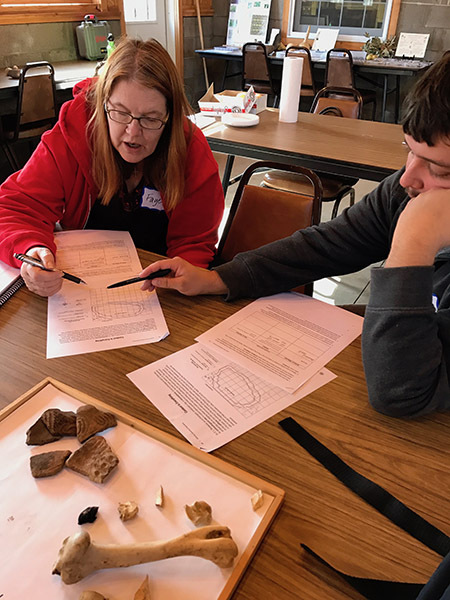 Archeologists at the Arkansas Archeological Survey are available for classroom visits. Contact us for more information. Educators learning how archeologists study the past. Dr. Horton showing the teacher workshop participants rock art depicting plants on the walls of Rockhouse Cave. Educators touring the Winthrop Rockefeller Institute’s foraging garden to learn about plants Arkansas Indians gathered and ate.